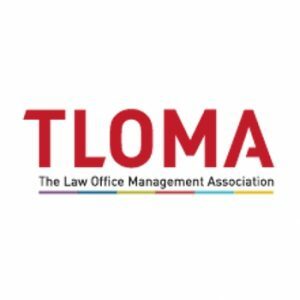 LexCloud.ca is proud to announce our Platinum Sponsorship of The Law Office Management Association for 2016. 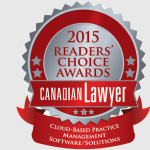 LexCloud.ca is proud to be named one of Canada’s Top Vendors in the category of Cloud-Based Practice Management Software/Solutions in Canadian Lawyer’s 1st Annual Readers Choice Awards. Worldox Cloud Canada Has Arrived! LexCloud.ca is pleased to announce the official launch of Worldox Cloud Canada, for Canadian law firms who want flexible document access in the cloud. LexCloud.ca is pleased to announce that we will be attending the Ontario Trial Lawyers Association’s Spring Conference as a Ruby Sponsor on May 21-22 at the Metro Toronto Convention Centre. TORONTO & GLEN ROCK,NJ– April 16, 2015 – LexCloud.ca & World Software Corporation announced today that they have partnered to deliver Worldox Cloud to Canadian customers. Through this partnership, LexCloud.ca will exclusively deliver Worldox Document Management Software (DMS) in the cloud to Canadian law firms utilizing data centers within Canada.